These are for Ring and Earring people. I know some of you are ring people and like to make ring projects only. Others may be earrings people and prefer earring projects only. There are pendant and bracelet people too. 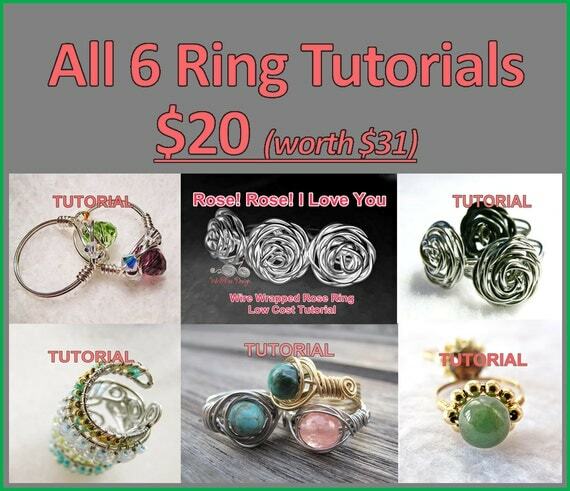 Today I put together 2 tutorial packages, each for RING projects and EARRING projects. The RING Package made up of all 6 tutorials available. As a package, I am offering it at 35% less i.e. $20.00 only. That is about $3.30 for each tutorial. 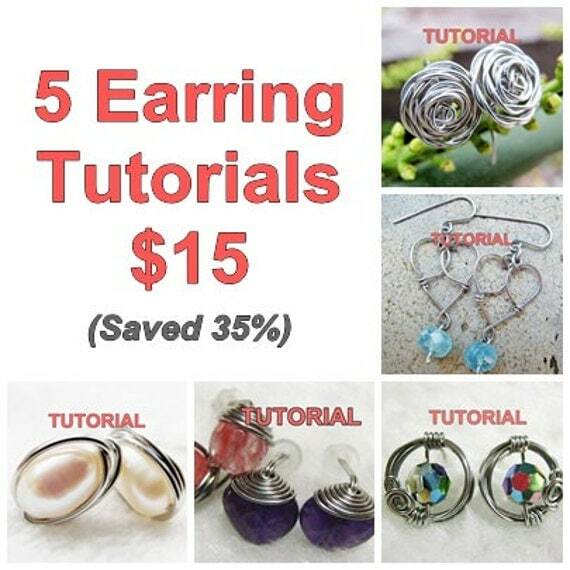 The EARRING Package made up of all 5 tutorials available. As a package, I am offering it at 35% less i.e. $15.00 only. That is $3.00 for each tutorial. Both tutorial packages are available via Instant download. You will receive an automatic email notification letting you know the file is ready on the Downloads page. Let me know if you prefer other packages and we can work it out from there. Labels: Earrings , Rings , Tutorials for a Fee Share it!